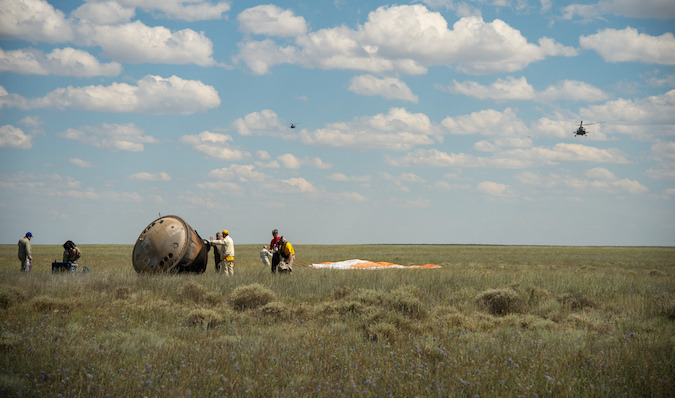 The Soyuz TMA-19M spaceship touched down at 0915 GMT (5:15 a.m. EDT; 3:15 p.m. Kazakh time) about 90 miles southeast of Dzhezkazgan, Kazakhstan. 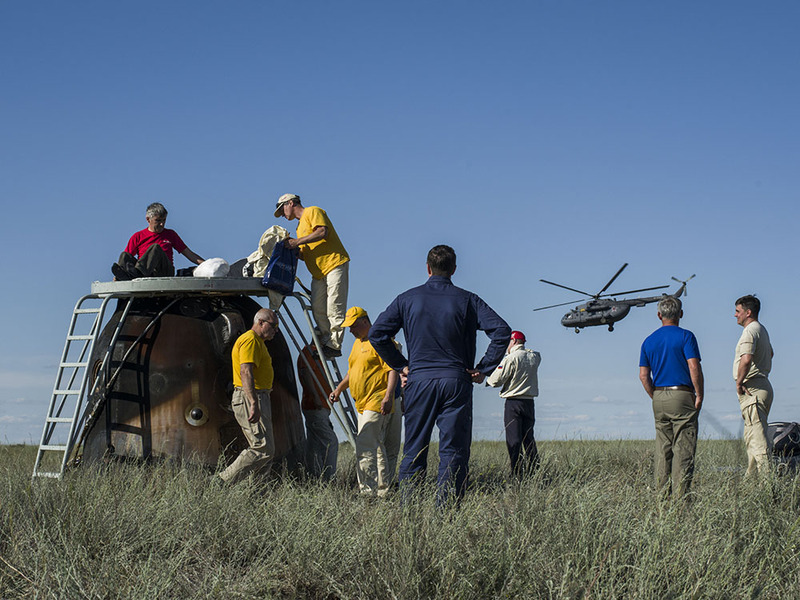 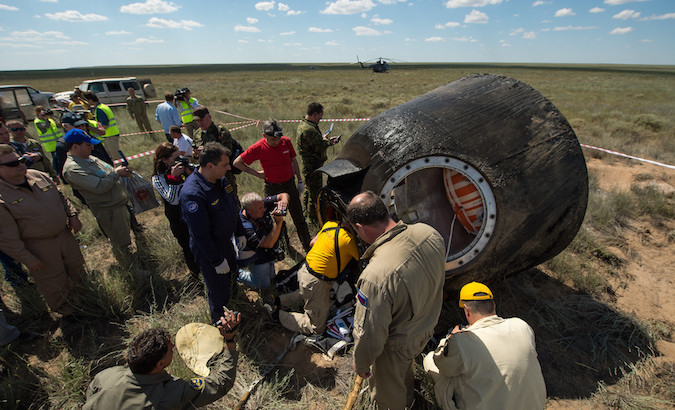 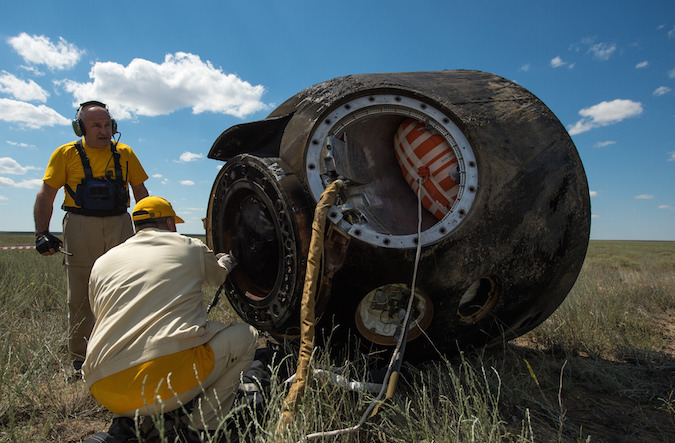 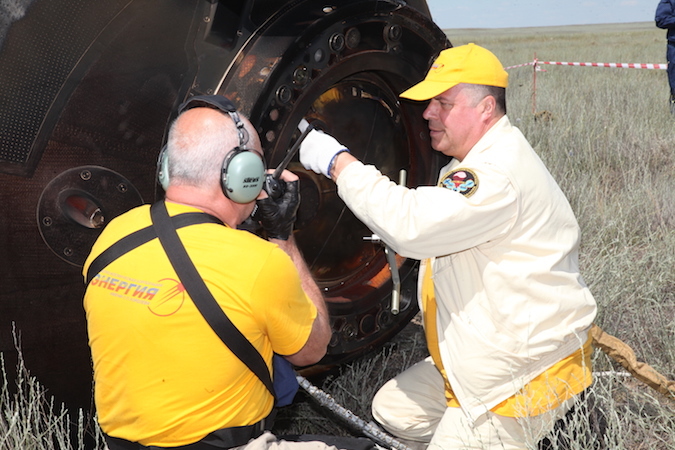 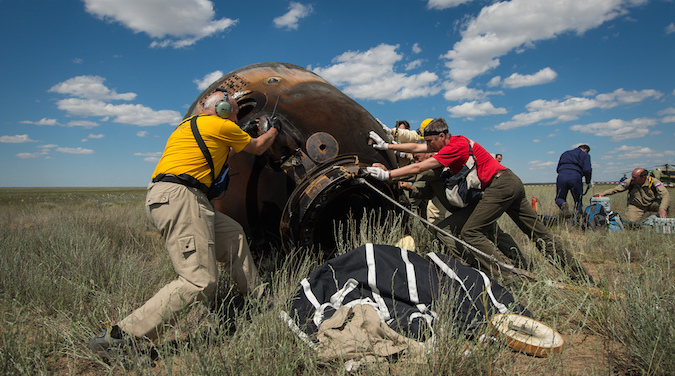 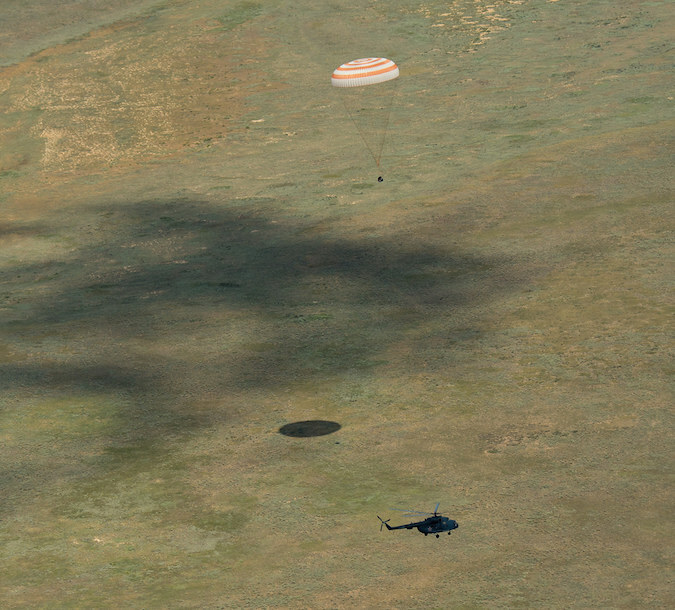 Russian recovery technicians raced to the landing site in helicopters and all-terrain vehicles to pull the crew from the Soyuz landing capsule, which measures about the size of a compact car. 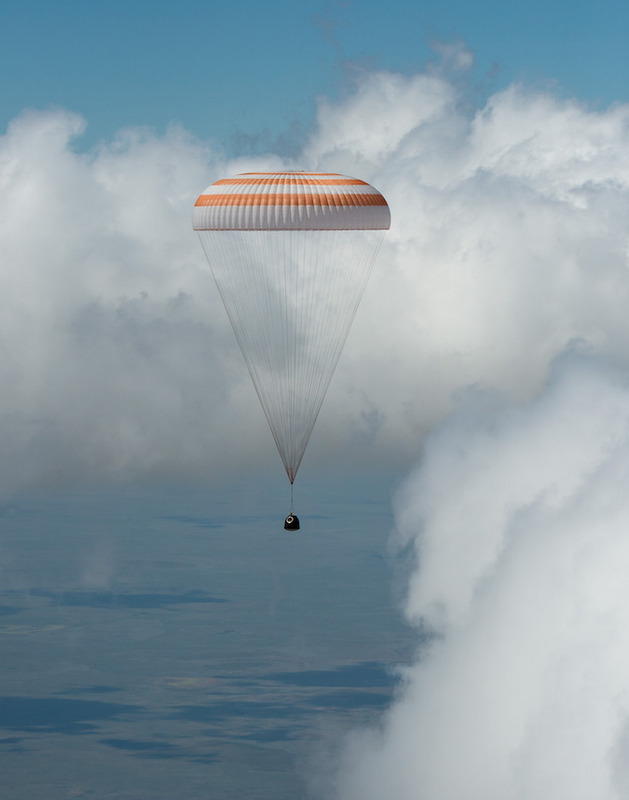 Malenchenko, 54, was first to exit the Soyuz spacecraft from the center seat. 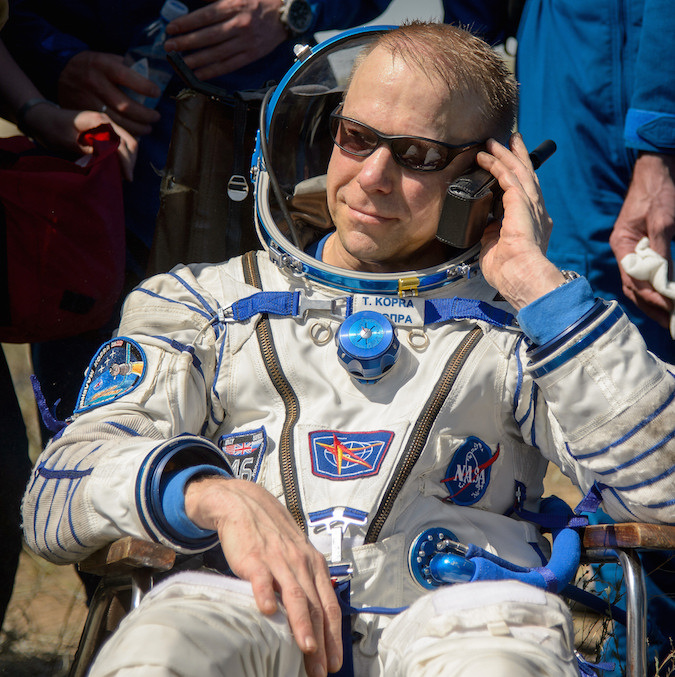 He has logged more than 827 days in space on six spaceflights, good enough for second on the all-time list for time in space. 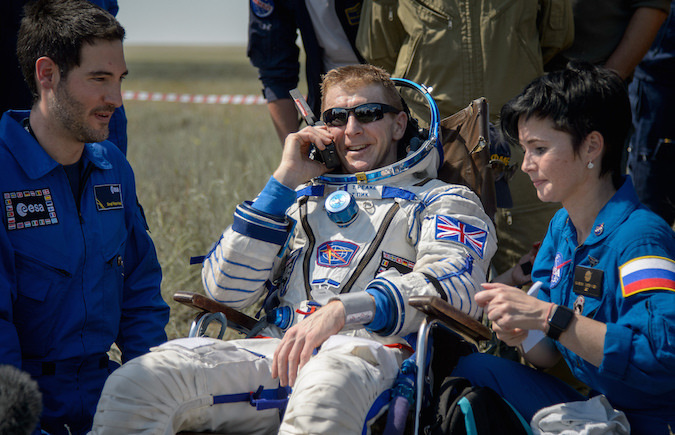 Peake was second out of the capsule, concluding his first trip into space and logging 186 days on the Expedition 46 and Expedition 47 crews. 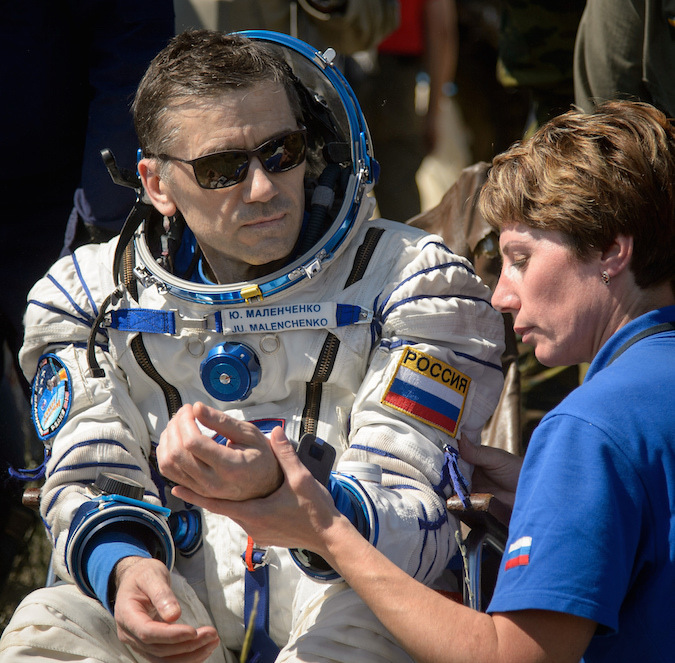 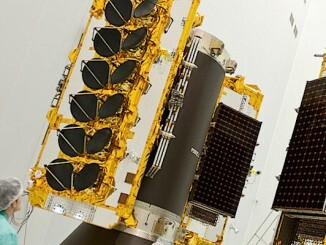 His mission was sponsored by the European Space Agency. 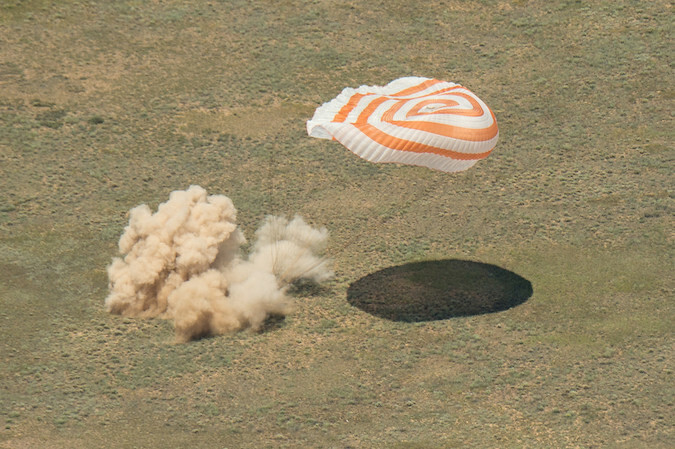 Kopra emerged last from the left seat of the Soyuz, completing his second space mission. 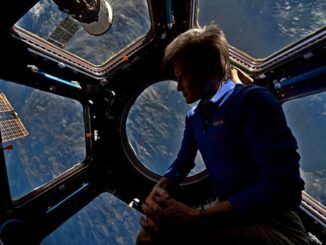 His career time in space now totals 244 days after two stints on the space station in 2009 and in 2015 and 2016. 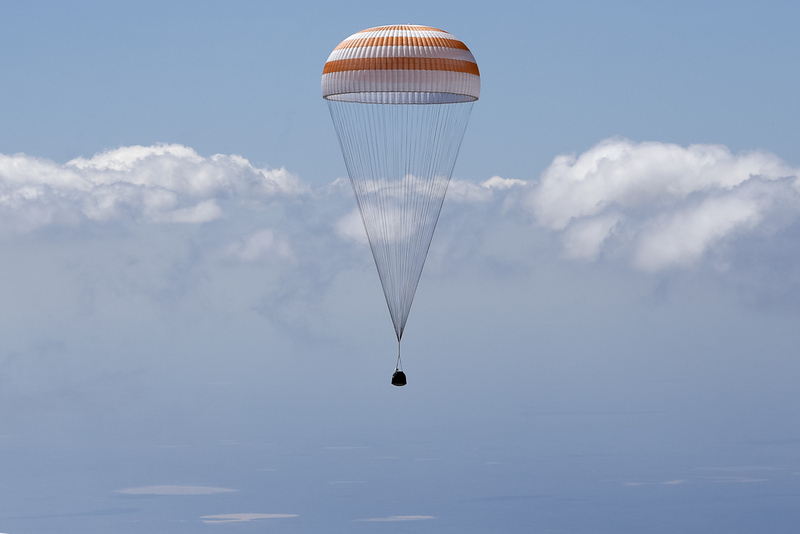 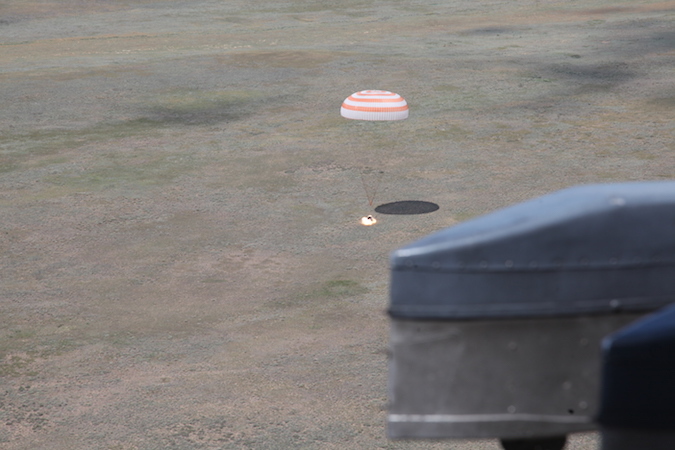 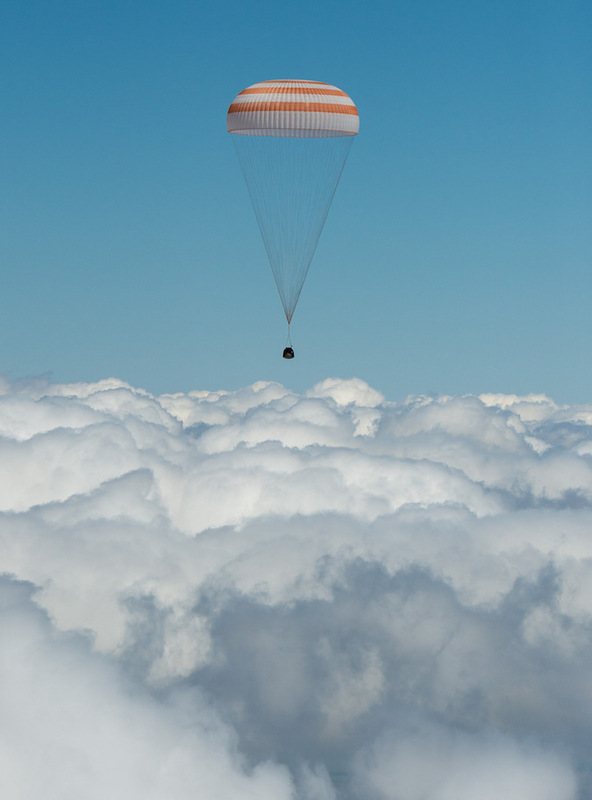 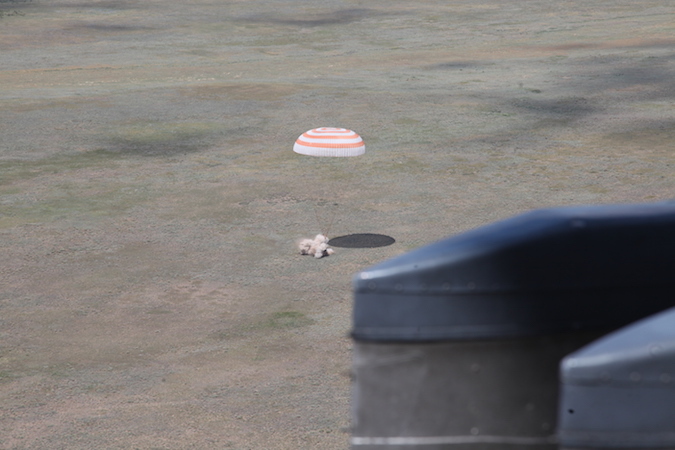 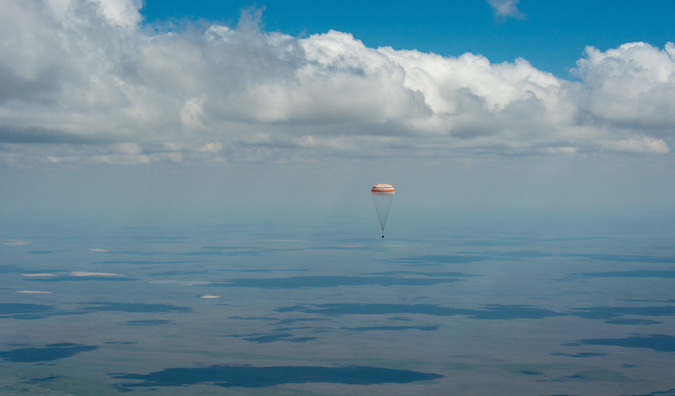 These photos show the Soyuz ferry craft’s final descent under an orange and white parachute, and firing “soft landing” rockets a moment before touchdown. 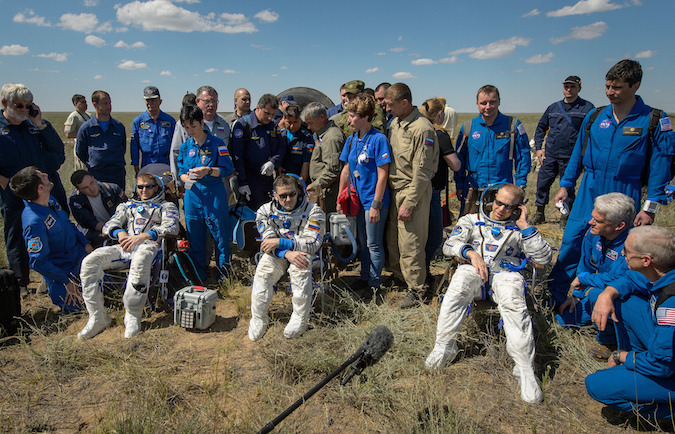 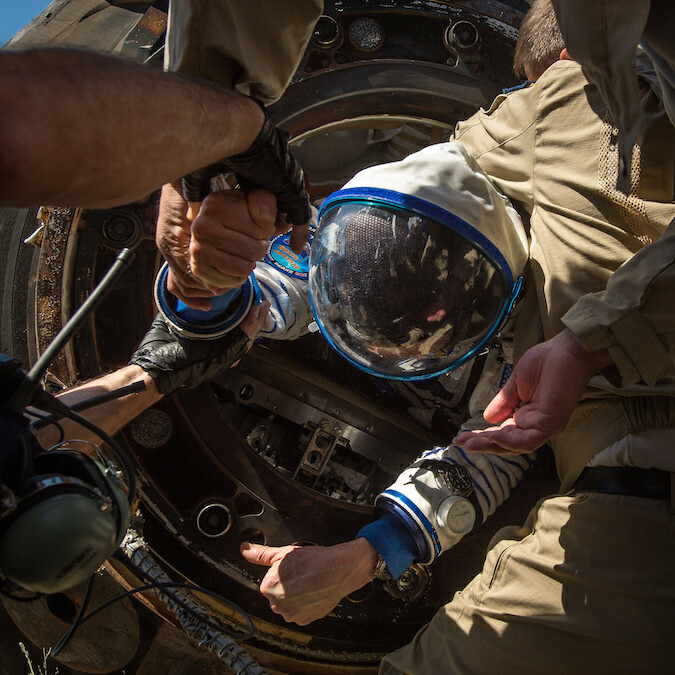 The images also show Russian support personnel arriving at the scene, and the crew members in their Sokol launch and entry space suits after the jarring return to Earth.